Last week, we did a blog post about small business net investment income tax stuff for entrepreneurs and business owners. So this week, I wanted to talk about real estate investors and the net investment income tax. Too many real estate investors don’t really understand how real estate net investment income tax accounting works. And with disastrous results… Someone who doesn’t proactively approach this tax planning opportunity can find themselves hit with giant, unnecessary tax liabilities. You can read a more detailed discussion of the net investment income tax here, but basically the net investment income tax hits taxpayers with a 3.8% surtax on their net investment income. A taxpayer’s net investment income consists of interest income, dividends, capital gains, royalties, rent from passive investments in real estate, and income from other passive investments where the taxpayer fails to meet the material participation requirements of Treasury Regulation 1.469-5T. Example: If you have $20,000 of dividends, $20,000 of capital gains, $15,000 of capital losses, and $10,000 of passive income from a rental property, your net investment income equals $35,000. Potentially, you may pay the 3.8% net investment income tax on as much as $35,000. Fortunately, though, a taxpayer doesn’t necessarily pay the tax on all net investment income. A taxpayer pays the 3.8% on the lesser of her net investment income or the amount by which her modified adjusted gross income exceeds a threshold: $250,000 for married filing joint taxpayers, $200,000 for single taxpayers, and $125,000 for married filing separate taxpayers. Example: Suppose a married taxpayer with modified adjusted gross income equal to $300,000 has $100,000 of net investment income. In this case, the taxpayer pays the 3.8% tax on the lesser of $50,000 (which is the amount by which the modified gross income exceeds the $250,000 threshold) or $100,000 (which is the actual amount of net investment income). Obviously, $50,000 is less than $100,000 so this means the taxpayer pays the 3.8% tax on $50,000. One other clarification: For purposes of the net investment income tax, you can almost always think of the modified adjusted gross income as equaling regular old adjusted gross income. The “modifications” for individuals calculating their modified adjusted gross income come from the Sec. 911 foreign earned income exclusion. 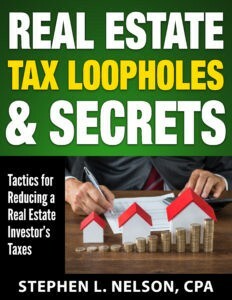 However, real estate investors can avoid the net investment income tax if they pass two tests. First, they need to qualify as real estate professional as described in Internal Revenue Code Section 469(c)(7) which means they need to spend more than half their time and more than 750 hours a year on a real estate activity. Note: Typically, a real estate investor needs to make an election to group multiple properties into a single activity in order to meet both the 50% threshold and the 750 hour threshold. Someone with four apartment houses that each require 200 hours a year of work doesn’t pass the “more than 50% and more than 750 hours” test, in other words, unless they elect to group all four apartment hours together as a single 800-hour-a-year real estate activity. A second test a real estate investor needs to pass is that their activity needs to represent a trade or business. This second test potentially turns out to be a wishy-washy thing, unfortunately. Tax law requires an investor to be involved in operations on a “regular, continuous, and substantial” basis in order to be in the trade or business of rental real estate. Fortunately, the Net Investment Income Tax Regulations provide a couple of safe harbors which should work for most people. Reg. 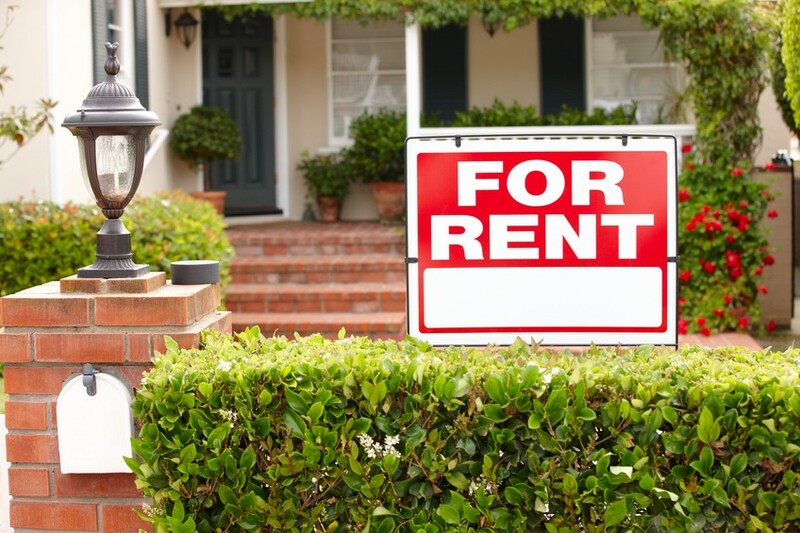 1.1411-4(g)(7) says that if you spend more than 500 hours during the year or have spent more than 500 hours a year in five of the last ten years doing rental real estate activity stuff, boom, you’re in a trade or business. Okay, a really important point: You do potentially owe net investment income taxes on the gain you enjoy if you sell a property. And remember this gain could be giant if it reflects decades of appreciation and the gain gets stacked on top of other earned income because you or your spouse work in a W-2 job. The good news? If you can pass the two tests mentioned above in the year you sell the property, you also avoid net investment income tax on that profit. Have You Been Doing This Wrong? You can tell whether you’re paying net investment income tax by looking at your tax return. Check out line 62. If the 8960 box is checked and you see a value on line 62, you’re paying net investment income tax. By the way, if you shouldn’t have paid net investment income tax—say because you didn’t exclude the income from rental real estate when you should have—you can amend the incorrect tax returns and ask the IRS for a refund. And note that you should do this fast… the first year you would have paid net investment income tax is 2013 and that year’s tax return becomes unamendable sometime in 2017. A Final Tip: Any legitimate tax deductions you collect and then record on your tax return reduce not only your income subject to ordinary income taxes but also your income potentially subject to the net investment income tax. Therefore, as you look for ways to dial down your net investment income taxes on real estate, be sure to also maximize your real-estate-related deductions. 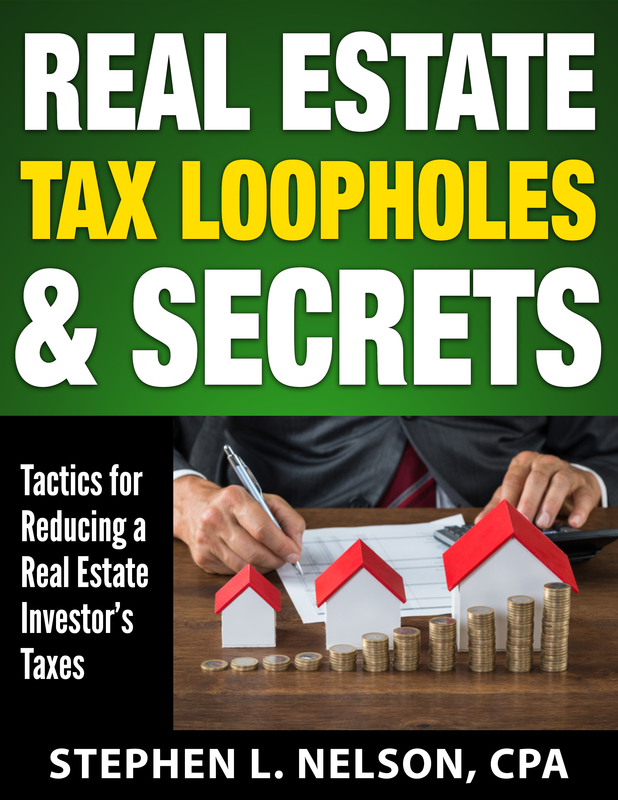 If you need or would like help with this, we’ve also got a downloadable reference many real estate investors find invaluable, our $40 “Real Estate Tax Loopholes and Secrets” e-book.